I combine the techniques as a kinesiologist with knowledge and experiences as a nutritionist, fytotherapist, massage therapist, nurse and acupuncturist. I started with kinesiology 1994. Kinesiology modalities: In 1994-1996 I did a vocational training to hold a diploma as a kinesiologist. We had teachers from several continents with different modalities. Several techniques I use today coming from Richard Utt; Applied Physiology, 7 qi keys, Tao of Blood and other ways to work with his three- dimensional 7-element-theory. Marco Rado is a physical therapist, who started studying Kinesiology 20 years ago and, after studying many different approaches, he has specialized in the Applied Physiology branch of Kinesiology (which he was the first to introduce in Italy). He has deepened his studies in Traditional Chinese Medicine and Manual Medicine, like Osteopathy and Facial Manipulation. Since 2003 he has developed his own classes, integrating western science and eastern traditional knowledge. Now he’s focusing on the Heart-Brain Interaction and the Energy aspects of the Heart. 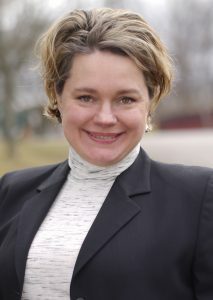 Originally trained as an environmental engineer, Emma moved to Germany where she gave in to her passion for kinesiology. She has a formal training in Kinesiology of the Brain from the IAK in Kirchzarten, and combines working in her practice with giving (and receiving) seminars and presentations. I cannot imagine my life without kinesiology. What a blessing it was back then to have “found” it! I love spreading the K word and love being a part of a creative, fun and international group like IASK! I believe we can make Specialized Kinesiology stronger and more recognizable by working together and having fun. Started with kinesiology in 1998. Continuing training in different kinesiology methods for instructor licenses. My offer is a 3-year kinesiology training for a professional work with kinesiology in Düsseldorf. Therapists, medical doctors and Heilpraktiker chose the 200h training Medical-Therapeutically Kinesiology. For the DGAK in Germany I was 9 years at the board and for 3 years DGAK chairwoman. At the moment I work in the position of the DGAK Managing Director. My input for the IASK is based on my experience to work for organizations. It is a matter of heart for me to work with my international colleagues for our method and profession kinesiology. Adam has been involved with kinesiology and related healing art forms for over 30 years. He is Founder/Director of the Institute of BioEnergetic Arts & Sciences in Sonoma, California (www.kinesiohealth.com), and Founder/President of the non-profit Energy Kinesiology Awareness Council (www.healthybodyenergy.com). In his practice, Adam uses the integrative power of Kinesiology/muscle monitoring to help you achieve your wellness goals and live as if each moment is the best moment of your life. As a long time instructor and presenter, Adam is known for his energetic and humorous style, and his ability to make even the most difficult topics easy to understand and put into practical use. Having had the privilege of studying with many of the founders in the field, Adam has integrated his knowledge, experience and research to create a comprehensive kinesiology training program – Become a BioLinguist™. The program builds a solid foundation for newcomers and continues through advanced concepts and techniques. It encompasses his other individual trainings such as Holographic Touch for Health™, Working With the Living Matrix, a Sentics Approach to Balancing Amygdala Emotions, and much more. Adam is also an International Advanced Instructor and Instructor Trainer of Applied Physiology, as well as an instructor of many other kinesiology modalities (Touch for Health, One Brain, etc. ), and is a Certified Heartmath Trainer and Practitioner (Heartmath is also integrated into his own workshops). Adam is honored to be on the board of IASK and working with an esteemed group of international colleagues to help achieve the goals of the organization. I just love sharing Kinesiology with others! I’m passionate about raising awareness of this incredible integrative tool, and I get excited as I see the light bulbs of my students go off when they “get it” and start putting to use their skills to help others. I also love the sense of community in this extraordinary field – I have amazing friends all over the world whom I respect and have so much fun with! I would not be the person I am today without this amazing work! Current President Australian Kinesiology Association, a Specialist Level 6 Kinesiologist. Lee-Anne’s vision, innovativeness and ability to initiate, think laterally and complete tasks with precision and inclusiveness, is a rare and valued combination of skills for any individual or organisation. Starting her Professional life as an international Ballerina gave Lee-Anne a deep appreciation of the human body, its abilities and energies not easily explained by science. She then ran a successful Dance college (J.S. Dance College) teaching classical ballet and performance in a way that ensured students bodies were respected and not damaged by the training. Lee-Anne felt very drawn to the healing arts and in particular, felt like she had come home in encountering Kinesiology. 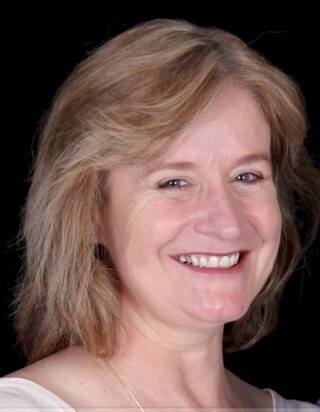 Lee-Anne has studied Kinesiology since 1998. Travelling the world, with a passion for learning, she’s been privileged to learn from the founders of most Kinesiology Modalities. With this depth of study, she’s integrated her life and technical skills with many other health modalities. 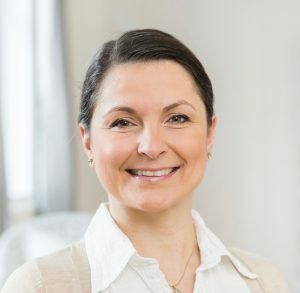 Her acquired expansive knowledge base combined with her 30 years of clinical research, plus her passion for new and improved systems has led Lee-Anne to develop NeuroK, (Neuro Kinesiology). To date NeuroK has been taught exclusively to classes of specialist medical Doctors in Asia. NeuroK is an integrative healing system that makes sense in any language and is applicable with all skill levels including students. I’m passionate about my clinical work, learning, research and taking Kinesiology to the world. If we all share our skills by empowering others, the world will be a healthier, happier and more consciously aware place. What an exciting world we live in! Director of studies, responsible for academic planning. Teacher and attend private sessions. Mother of four children and grandmother of four grandchildren, although it seems that I do not spend much time, for me the family is very important. Bachelor in Psychology, practicing kinesiologist since 1990, Kinesiology instructor Touch for Health, entitled “International College of Professional Kinesiology Practice”, instructor of Brain Gym. Developer and responsible for “kinesiology of human behavior and relationships”. Degree in acupuncture from the University of Santiago de Compostela. Higher degree in psycho-energetic kinesiology from the Real Centro Universitario Maria Cristina. Diploma in manual lymphatic drainage, Vodder method, homeopathy. Expert in floral essences and gems. Former faculty member of Three in One Concepts formed in Burbank, California. Author of different books on the subject. Initially trained as a registered nurse and relaxation therapist. IASK member since 1990 and active in the Board since 1993. I love to teach classes and work with clients. I am good in communication skills and therefore happy to be involved in different jobs as Board member and Coordinator. Initially trained as a Conference interpreter, she came to Belgium to work as a free-lance interpreter for the European Commission in 1989. 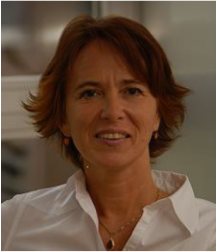 IASK member since 1994 and active in the Board since 2000. Kinesiology Modalities : One Brain (3 in 1 Concepts), Touch for Health, Edu-K, Applied Physiology, SIPS, Blueprint (Educating Alternatives), Systemic Kinesiology …. Although used to go to international meetings as an interpreter, I was new to friendly informal gatherings and have been enjoying every minute of it. With a team of Board members who are motivated and productive as well as warm and having a good sense of humour, I find working for IASK highly gratifying! I look forward to getting to know you at the next Conference.